Posted in General | Comments Off on Welcome! 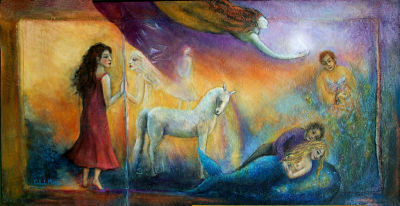 Womens-Spirit.com is a place to awaken and engage us in our spiritual birthright. This is my first blog and with it comes the delightful opportunity to do something new, and to meet women from all over the world. This is a place to share our stories and the mysteries and openings that they bring. This is a place to share the challenges and joys of living a spiritual life. I’m certain there will be surprises and gifts as we get to know each other. We need resources to live well through the intense changes in our lives. We live in a time where we are aware that we are a global community and the better we understand, enjoy, and learn from each other, the better life we make for all people. We come from diverse faiths and backgrounds and we don’t need to agree with each other to share respect, compassion, laughter, peace, creativity, courage and wisdom. Living spirit is in all things and all peoples. Let’s tell stories. Stories heal us and inspire us from the inside out. They deepen, soften and nourish our inner spirits. They work on us until we begin to live their truths and shape our lives. Let’s pass on the goodness and the greatness in the world. I have met many women who changed my life while listening to their stories. I’d like to hear yours. What is the theme of the story you would tell to help make a difference in the world?